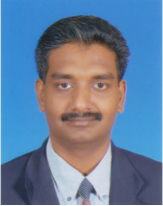 Mr Vigneswaran Applasamy has been involved in lecturing, research, management, sales and training for more than 14 years in the field of Electrical Engineering, Manufacturing sector, Higher Education, Sales and Marketing. Vigneswaran holds a Masters in Electrical Engineering from Universiti Teknologi Malaysia and is a registered member of Board of Engineers Malaysia (BEM), Institution of Engineering and Technology (IET), UK, Technological Association of Malaysia (TAM) and Green Productivity Association of Malaysia (GPAM). His professional career begun in Singapore as a Sales Engineer and later ventured into the Higher Education sector in Malaysia. He has served as a Vice Principal of a college and moved on to lecture and undertake research in a leading private University where he was noted for his publications in the International IEEE Conferences of Power & Energy and Business, Engineering & Industrial Applications. His articles since have been cited 9 times by other international authors in their respective publications. This was also the period where he ventured into corporate training as an Associate Trainer for Topesh Consultancy and Training Services PLT beginning 2011. He has since worked with a few other training providers. He has used his industrial and training expertise to develop soft skills programmes with a 20/80 approach; 20% lecture, 80% practical accompanied by a training manual individually customized for each programme. Each sub-section of a programme is incorporated with as many exercises or activity to enhance the practical understanding of participants. He has since developed over 30 training programmes in the area of Soft-Skills. He’s participants include those from Galeri Petronas, Bursa Malaysia, Honda Malaysia, UMW Holdings Bhd, Tan Chong Motors Holdings Berhad, Perodua Sdn Bhd, RHB Bank Berhad, Maybank Berhad, Maxis Customer Service Sdn Bhd, Marrybrown Sdn Bhd, IFCA MSC Berhad, Pos Malaysia Berhad, Watsons Malaysia, UEM Group Berhad, UEM Sunrise Berhad to name a few. His pragmatic approach have been well received by various segments of people, owing to his wide exposure to various industries over the years. He is well known for his highly charged, energetic yet humorous training sessions where he never fails to continuously engage with participants throughout.